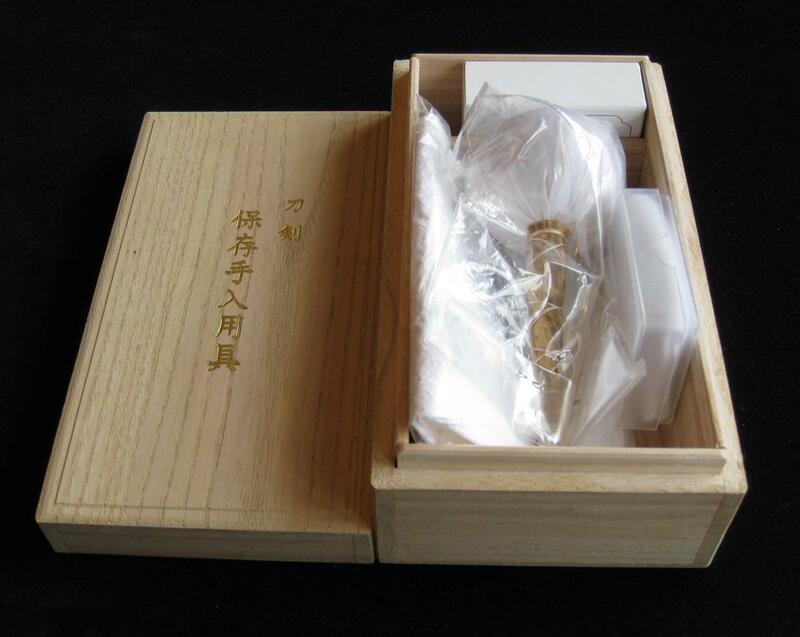 001 Sword care kit in a handmade kiri wood box. 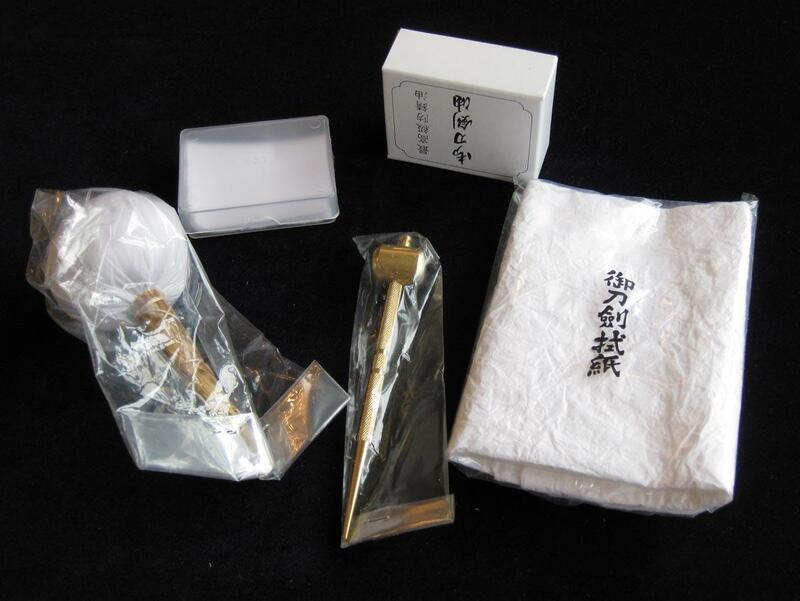 This top-quality Japanese kit consists of sword oil, a large uchiko, nugui paper, a flannel case and mekugi-nuki, all contained in a box made of Kiri wood. The uchiko contains high quality pure powdered uchigumori, not the talc, chalk, or baby powder substitutes found in cheaper kits, all of which can damage a good polish. The oil is also of the correct viscosity. The heavier oils found in cheap kits will soak into the wood of the saya and damage it, as well as trapping dirt that will damage the polish of the sword. Cleaning your sword with baby powder, and lubricating it with engine oil is never recommended, even if the engine oil has had clove oil added to it.